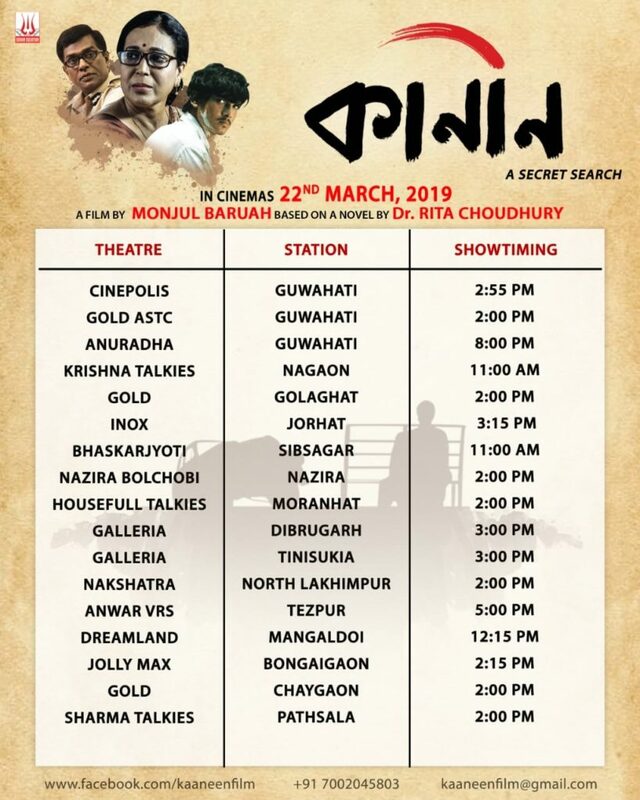 Assamese Film Kaaneen: A Secret Search hits theatre today. This is the second film by filmmaker Monjul Baruah. Monjul Baruah made his first feature film Antareen in 2016. Kaaneen is based on a novel by renowned author Dr. Rita Chowdhury.